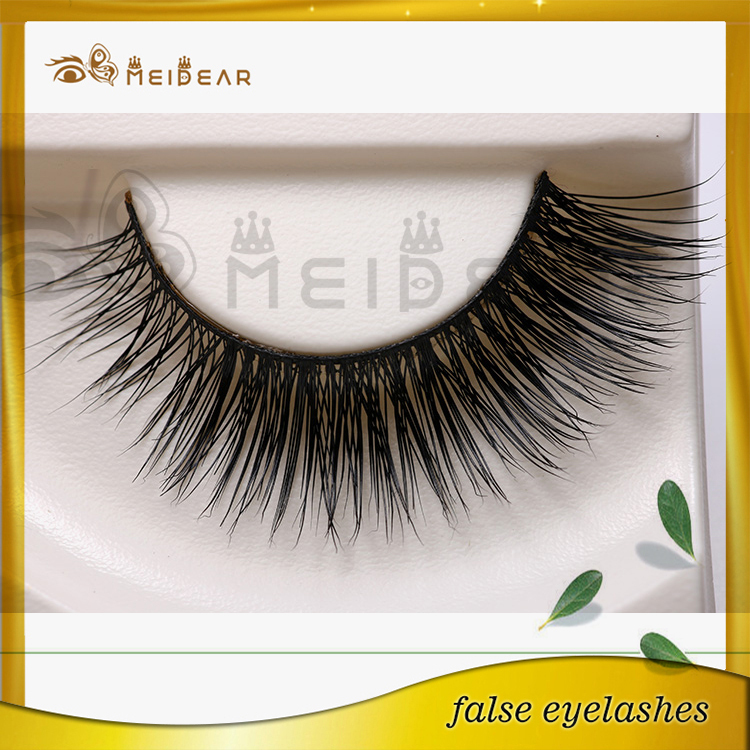 Eyes lashes private label custom packaging with logo.Meidear supply eyelashes extensions for more than 20 years.as a eyelash extensions manufacturer, we focus on our quality, hope can take the best feeling to our customers when they wear our eyelashes. We have eyelash OEM service for so many years, so we are a professional OEM service for eyelash extensions by now. There are large scale benefits of various types of mink lashes and they mainly give the lashes a thicker, longer and a charming appearance.There are large scale benefits of various types of mink lashes and they mainly give the lashes a thicker, longer and a charming appearance.it’s actually a lot easier to apply a severely curved false eyelash onto your eyes rather than try to pin down both ends of a lash that is too straight. They are made in single strands of 100% real mink eyelashes that are curved to replicate a natural eyelash. These mink lashes by far the softest hairs in the world. They are applied individually to your lashes for the most natural, thick and elegant look that is virtually undetectable.